El ateísmo está en auge en el mundo occidental y su enemigo es Dios. Los “nuevos ateos” afirman que la religión “es peligrosa”, que “mata” o que “lo envenena todo”. Y si la religión es el problema del mundo, la respuesta es simple: deshagámonos de ella.¿Pero las cosas realmente son así de simples? 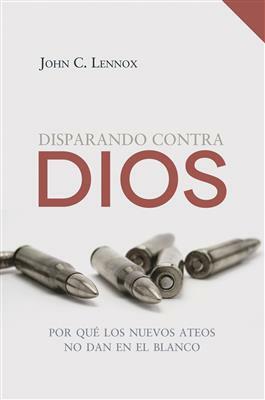 John Lennox se enfrenta a autores como Richard Dawkins, Stephen Hawking, Christopher Hitchens y Daniel Dennett, y resalta las falacias de sus planteamientos, argumentando que su metodología irracional y poco científica los hace culpables de la misma necedad obstinada de la que ellos acusan a los religiosos dogmáticos.Disparando contra Dios, un libro académico y que abarca aspectos muy diversos, contiene golpes certeros que debilitan al rival. También expone nuevas ideas sobre la naturaleza de Dios y el cristianismo que harán reflexionar tanto a los mejores amigos como a los peores enemigos de los nuevos ateos. Tackling Hawking, Dawkins, Dennett, Hitchens, and a newcomer in the field—the French philosopher Michel Onfray—John Lennox points out some of the most glaring fallacies in the New Atheist approach in this insightful book. Since the twin towers crashed to the ground on September 11, there has been no end to attacks on religion. Claims abound that religion is dangerous, that it kills, and that it poisons everything. And if religion is the problem with the world, say the New Atheists, the answer is simple—get rid of it. Of course, things aren’t quite so straightforward. Arguing that the New Athiests' irrational and unscientific methodology leaves them guilty of the very obstinate foolishness they criticize in dogmatic religious folks, this erudite and wide-ranging guide to religion in the modern age packs some debilitating punches and scores big for religious rationalism.